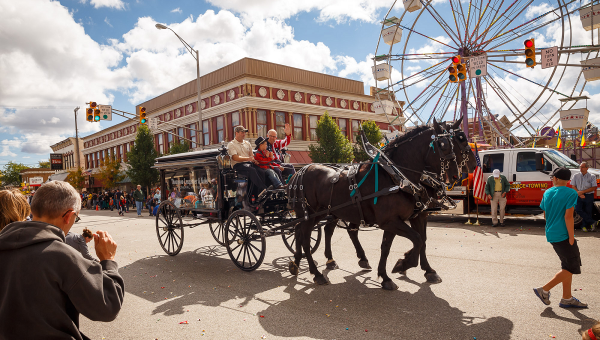 The Nappanee Apple Festival is home to Indiana’s largest 7 foot baked apple pie and comes out of the oven just in time to kick off the festival! We serve approximately 800 slices of pie and many people from around the United States travel to Nappanee to savor their annual piece of this pie. A celebration of all things apple features a parade, rides, crafters, apple peeling and pie eating contests and plenty of apple goodies! The main intersections of U.S. 6 and State Road 19.